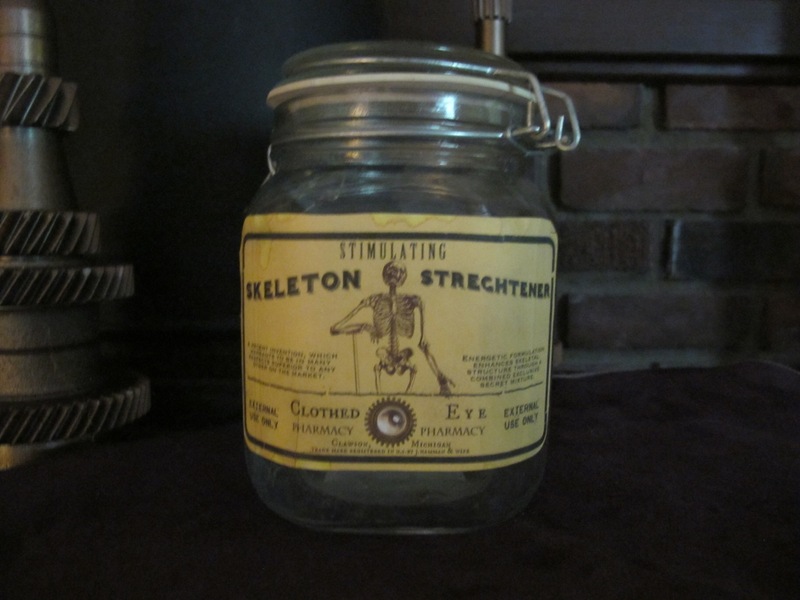 Stimulating Skeleton Strengthener steampunk apothecary jar. Features a uniquely designed label from the Clothed Eye Pharmacy line. Standing approximately 6 inches tall this jar has a sealable lid. Heavy storage style jar has unique angled shape. Please note: The current ‘aged’ labels actually have Strengthener misspelled as “Streghtener”, will include 2 new sticker labels with the spelling corrected.